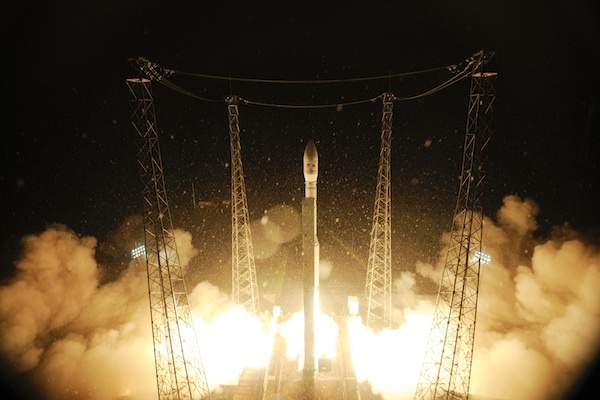 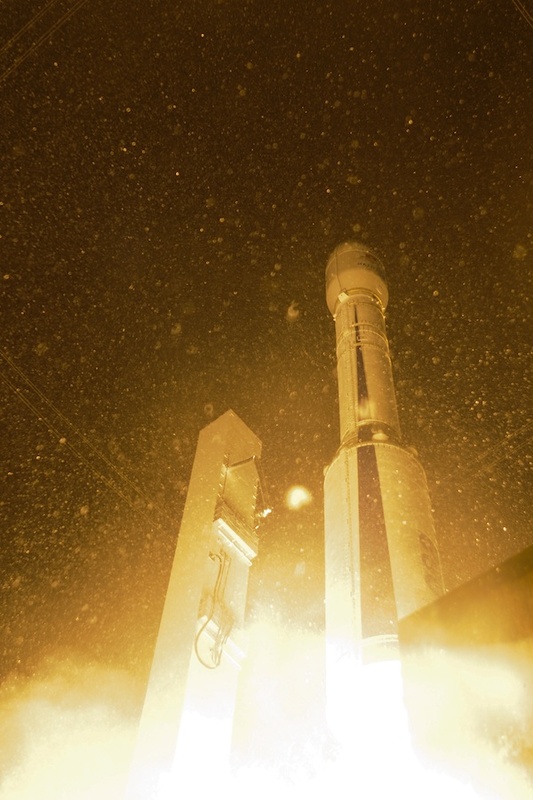 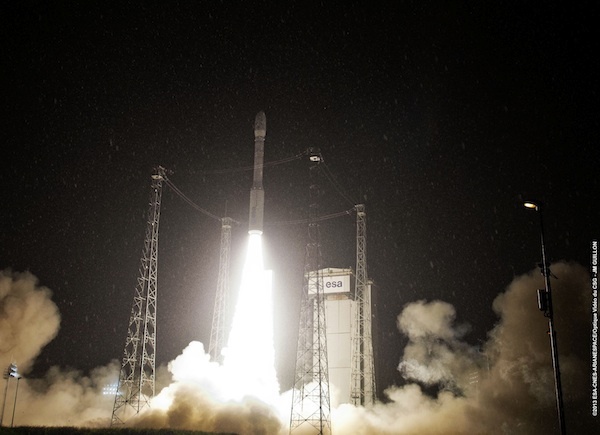 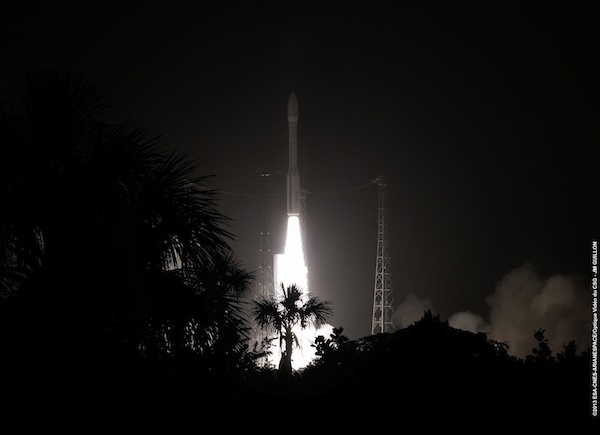 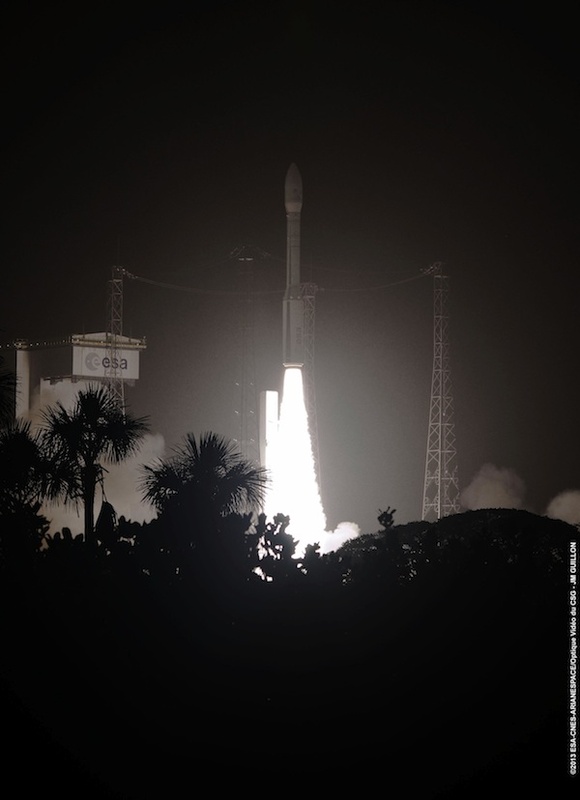 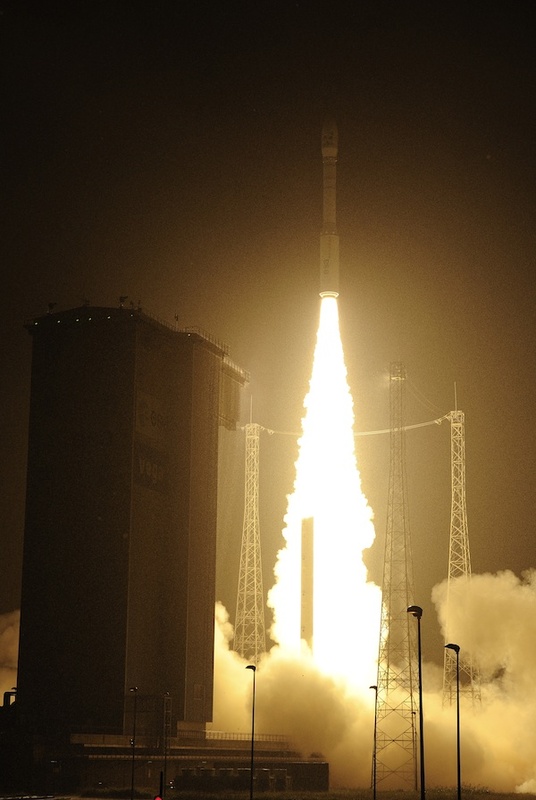 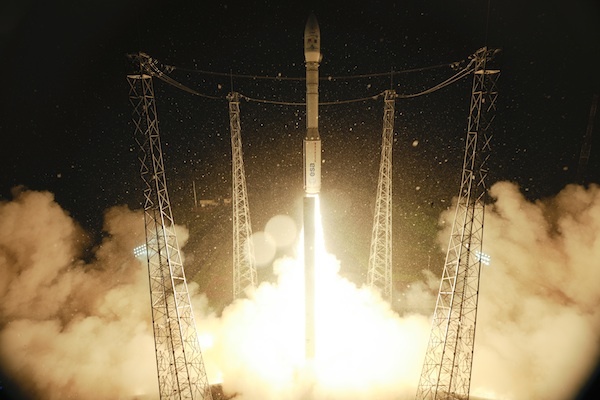 Blasting off in a tropical downpour, Europe's second Vega launcher took off Monday night from the Guiana Space Center with three satellites for the European Space Agency, Vietnam and Estonia. 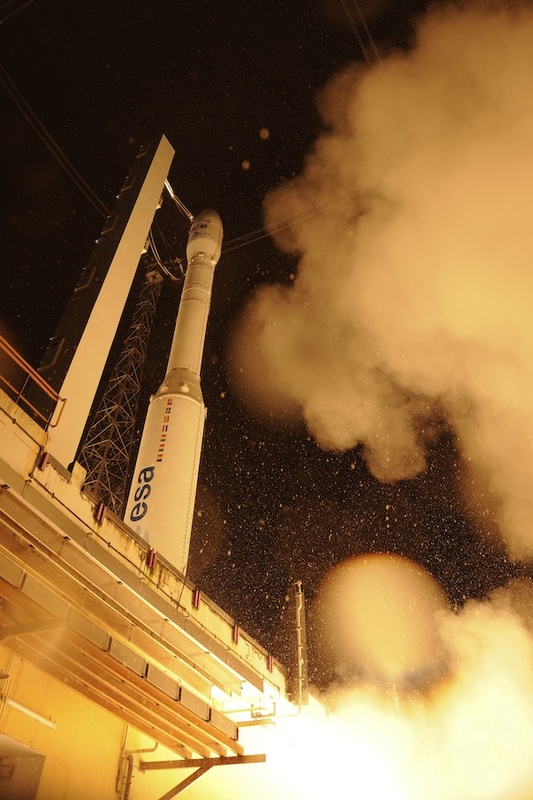 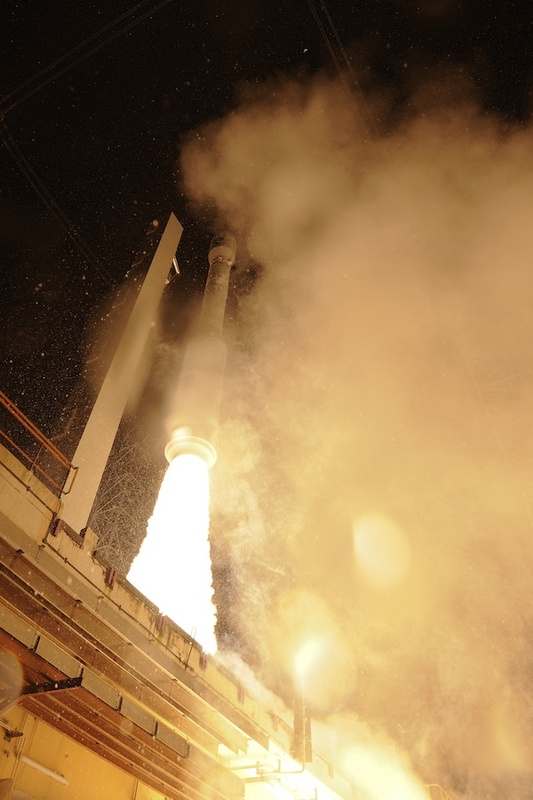 The 98-foot-tall rocket successfully deployed the satellites in two different orbits. 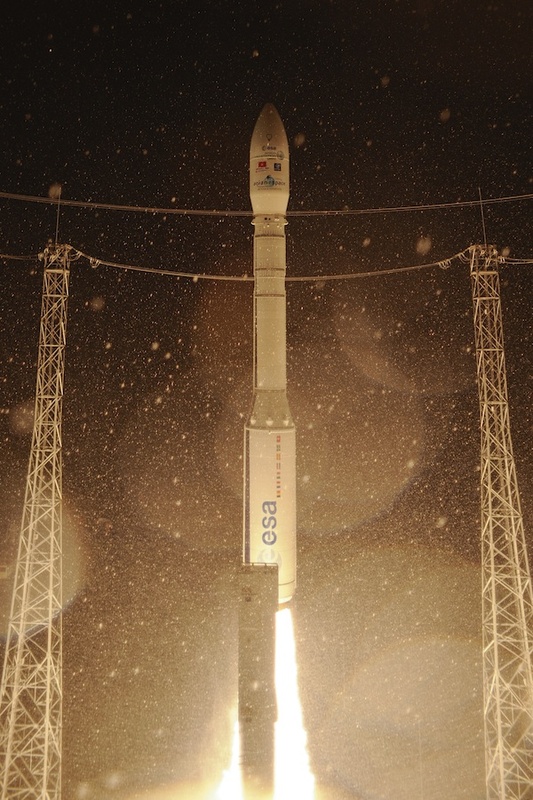 These photos show spectacular views of the nighttime blastoff, including eerie shots capturing raindrops suspended in the air like snowflakes.